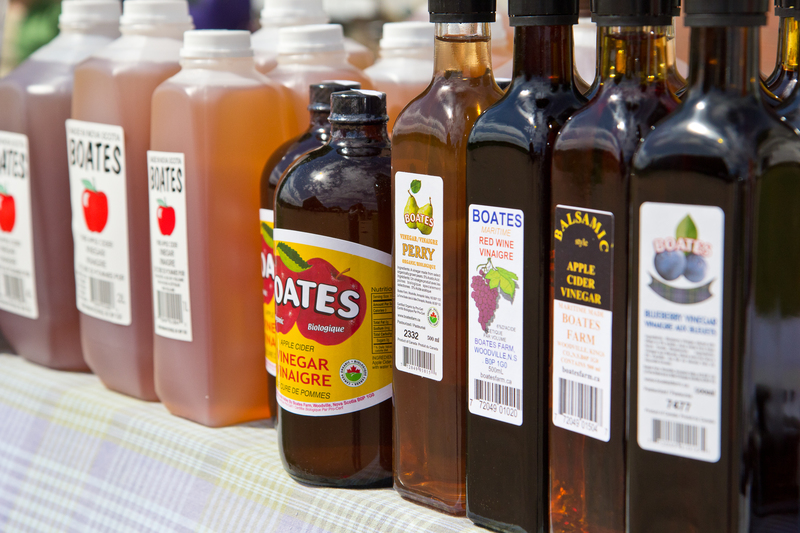 Boates Farm remains the only producer of apple cider vinegar in Atlantic Canada. It is filtered and pasteurized to produce top quality vinegars with 5% acetic acid. Apple cider vinegar is a traditional, healthful product and can be used in any recipe calling for vinegar. Our organic apple cider vinegar is unpasteurized and contains the natural mother of vinegar. The blueberry vinegar is made from local berries. The perry vinegar is certified organic and made from our own organically grown pears.